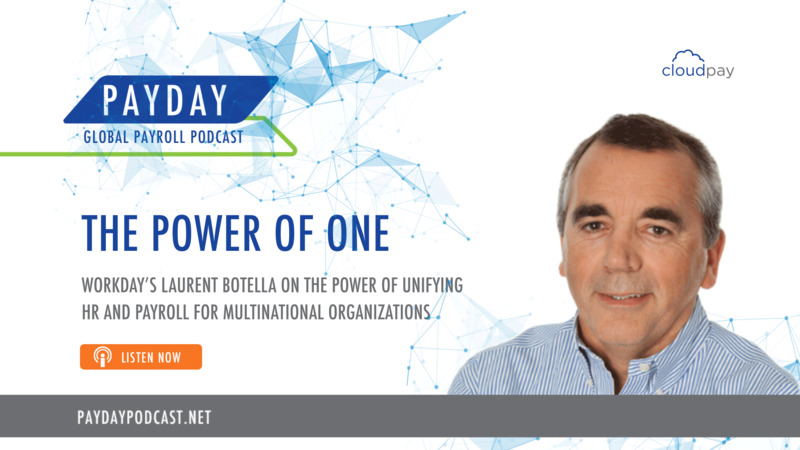 The way we work is changing at an incredible pace, bringing about new opportunities and unforeseen challenges that have many business leaders feeling overwhelmed by all that is at stake. A global labor shortage means retaining employees requires new levels of innovation, and employment regulations are continually changing—leaving HR leaders searching for new strategies to ensure their organization remains an effective, competitive employer. Now more than ever, HR teams must find support in building a robust human resources function that engages employees while delivering business results. One source of support for HR exists in the payroll team. On the surface, HR and Payroll may seem like very different entities. However, there’s power in where these two business functions overlap, at every stage of the employee lifecycle. With a focus on integrated global payroll and HR systems—and the technology which enables integration—HR has an opportunity to work more closely with Payroll to create a high-performing function. Cloud-based solutions now allow for payroll data to inform and support real-time HR decisions related to compensation structure, benefits options, and labor requirements, putting HR in a better position than ever to navigate change. Without obtaining informed data around pay, HR teams can’t conduct a competitive pay analysis or ensure their pay rates are equitable. 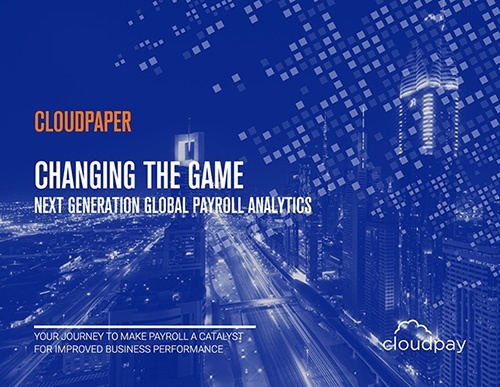 But when they partner with Payroll to gain insight about pay data, HR boosts its ability to competitively recruit candidates, effectively retain employees, and demonstrate the organization’s commitment to pay equity. Support from Payroll can help inform and create a competitive pay structure based on data analysis of the organization’s pay rates. 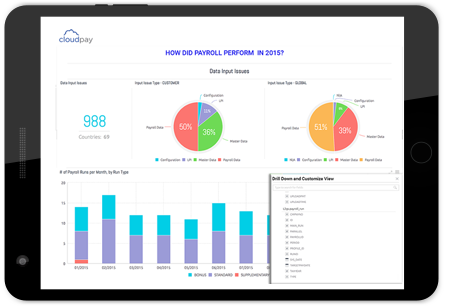 Insights gained from payroll data analysis can also help HR examine if the organization is effectively rewarding employees for their contributions or if there are gaps to address as part of the broader talent strategy. When it comes to putting pay into employees’ pockets, an effective partnership between HR and Payroll is essential. A mistake at any point in the data entry and transfer process can be costly. An integrated system makes the potential for error less likely, and it also streamlines processes for members of the Payroll and HR teams. Working as partners who regularly exchange employee records, they can access reliable employee data from a single, centralized source. In addition, an integrated approach to HR and payroll systems allows decision makers to evaluate compensation data against other employee-related costs, such as benefit offerings. Innovative benefits are one of the most strategic ways an organization can attract and retain employees, and HR leaders today know that they must regularly adapt their benefit offerings to meet employee expectations and retain talent. But HR can’t create innovative benefit plans in isolation. Planning for and funding these benefits requires data and strategic planning between HR and Payroll. For example, many organizations are offering student loan repayment benefits to entice recent graduates to join their organization. If HR doesn’t partner with Payroll to understand the costs associated with this benefit, they risk underestimating the cost and possibly making plans they can’t maintain. As part of HR’s planning cycle, payroll teams can provide potential costs for various benefit offerings so that HR can determine the best options based on employee interest and the budget available. Similarly, HR can partner with Payroll to ensure benefit plans remain within budget and deductions are accurately calculated to avoid costly fines. If benefit plans become too expensive, Payroll can assist with projecting future costs and help HR make adjustments to what the organization offers. Working together with Payroll to stay abreast of current trends, HR can also improve performance when it comes to complying with global employment regulations. Complex labor laws are not only a source of headaches for HR but also the basis of many lawsuits from employees. 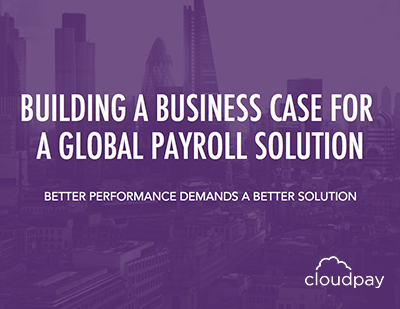 With the support of global payroll experts, HR leaders can monitor legislation updates and ensure compliance. As HR leaders partner with global executives to determine talent strategies, it is critical to understand compliance around pay, especially final payment after employment ends. A strong partnership between HR and Payroll also creates opportunities to implement process changes that facilitate accurate, prompt data transmission when employment ends. At that time, perhaps more than any other, it's imperative that the organization follows regulations and ensures the employee is paid correctly and on time. Again, integrated, single-source technology for Payroll and HR significantly limits the potential for costly errors, which is especially critical when employment ends. HR professionals have a tremendous opportunity to partner with Payroll to make sense of the data that is available, then use that data to ensure the business understands what’s required for a competitive and equitable compensation structure, innovative benefits options, and employment regulation compliance. If both HR and Payroll seek ways to work together to positively impact the employee experience, these two seemingly disparate functions can become strategic partners in helping their organization succeed in hiring and retaining the best talent possible.